Don’t throw out those odd socks now! 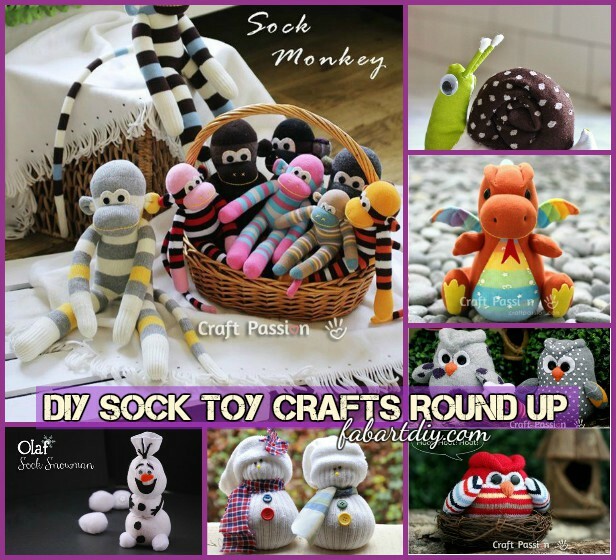 We can recycle them with all these DIY cutest sock toys for kids or for home decor. We have 2 versions of sock kittens here and here , and a collection of 20 sock different toys, and different ways to make sock bunnies that you can go check them out, make and sell or send as handmade gifts. If you own too many odd socks and have no idea what to do with them, turn them into this super cute Sock Snake other than throwing out. 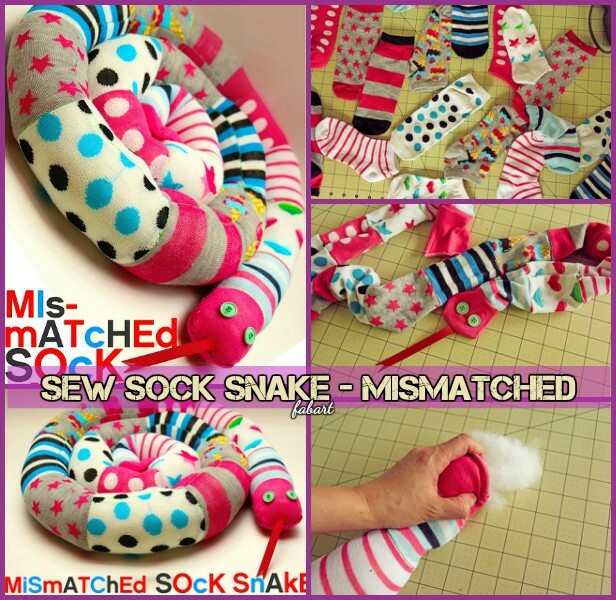 Though I get goose bumps even when I see snake toys, this sewing sock snake is too cute to make for kids. 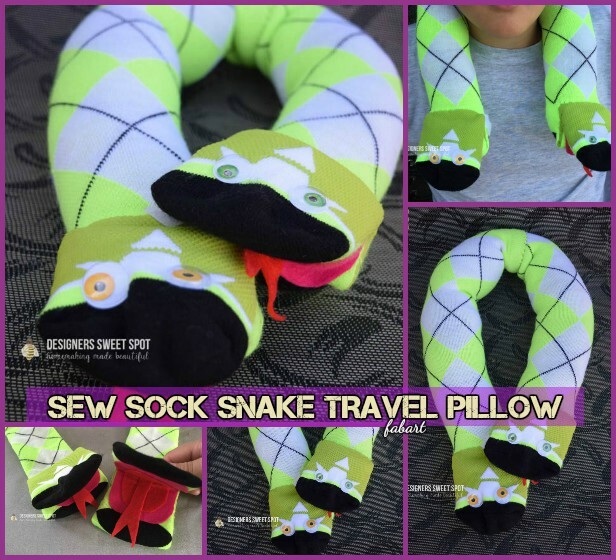 Designer Mom on her blog Designers sweet spot shares her fabulous idea to make full use of the sock snake as a travel pillow for kids. Look at the cute felt tongue from the snake, not scary but comfy to travel with.